Development – what is it? Development. What is it? For me it’s evolution. A combination of factors that will ultimately lead to evolution. 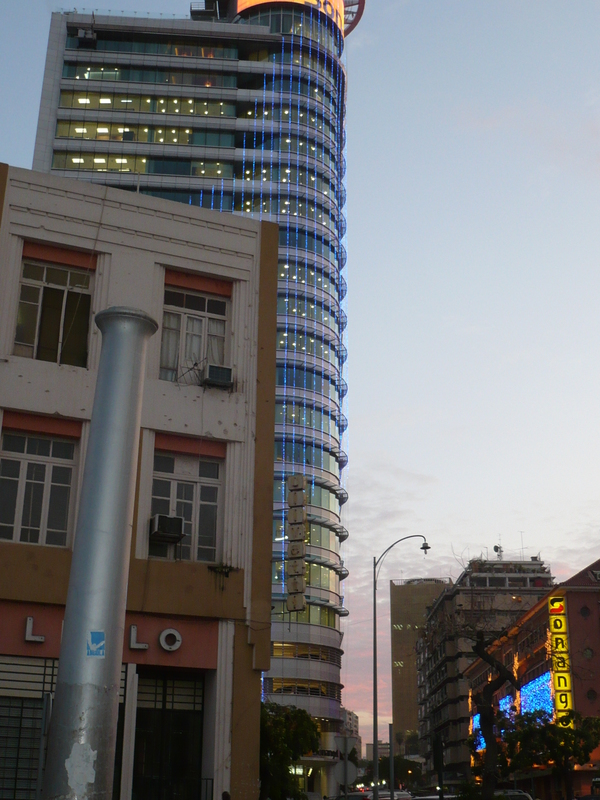 After long consideration I have picked a photo I took myself in Luanda, Angola, in December 2009. In the picture, you can see a tall modern tower from the national oil company, Sonangol. Standing ahead is an older small building of a bookshop with bullet marks that hit it during the civil war that ended in 2002. Angola can very well be a good example of the opportunities that a country can be faced with once the conflicts are over. Angolan authorities are very well aware of that. By granting foreign investors a secure and safe environment in any given area, Angola is in a win-win situation: the region and its people benefits from a peaceful area and from foreign investment that creates jobs. It’s the evolution loop.